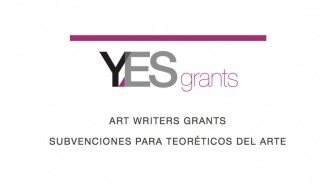 Reconoce su destacada labor y compromiso con las artes visuales contemporáneas a través de importantes iniciativas de mecenazgo y filantropía. ICI will honor Patrizia Sandretto Re Rebaudengo with the 2019 Leo Award. Sandretto Re Rebaudengo will be presented with the award at our Annual Benefit & Auction in New York on Tuesday, October 22, 2019. Named after early ICI supporter and legendary art dealer Leo Castelli, the award recognizes extraordinary commitment to artists and pioneering contributions to the field of contemporary art. Past recipients of the award include Dimitris Daskalopoulos, Marian Goodman, Michael Govan, Roy and Dorothy Lichtenstein, Patricia Phelps de Cisneros, Miuccia Prada, Emily Rauh Pulizter, and Dasha Zhukova. An avid collector for more than two decades, Sandretto Re Rebaudengo is the founder and President of Fondazione Sandretto Re Rebaudengo, which was established in 1995, opened its first exhibition space in 1997 in Guarene d’Alba, Italy, expanded into a center for artistic research and experimentation in 2002 in Turin, and will open an additional space in Madrid, designed by David Adjaye over the coming years. Through the Fondazione, Sandretto Re Rebaudengo has actively promoted artists through exhibitions and the production of new works; fostered new and growing audiences through education; and created institutional partnerships for the support of contemporary art. Among many international affiliations, Sandretto Re Rebaudengo is a member of MoMA’s International Council, the New Museum’s Leadership Council, the Advisory Committee for Modern and Contemporary Art of the Philadelphia Museum of Art, and the Board of Governors of the Center for Curatorial Studies at Bard College. Reflecting Sandretto Re Rebaudengo’s commitment to the curatorial field, the Fondazione launched in 2007 the Young Curators Residency Programme, and in 2012 the Campo course for curators, providing early professional opportunities. In awarding this year’s Leo, ICI considered the importance of its own mission and core values, reflected in the achievements of the honoree’s vision: promoting accessibility to contemporary art; facilitating institutional collaboration; and investing in the next generation of curators. “With this Award, we honor Patrizia’s relentless support of art and cultural exchange,” says Renaud Proch, ICI Executive Director. “Through the Fondazione Sandretto Re Rebaudengo’s exceptional exhibition program in Turin, its Education Department and the Young Curators Residency, Patrizia has shown great dedication to encouraging discourse and international engagement — two core ICI values. We are proud to welcome her among the ‘Leos’.” Sandretto Re Rebaudengo states, “I am delighted and honored to receive the Leo Award. Since the beginning, the passion and daily work of the Fondazione Sandretto Re Rebaudengo has been to contribute to an opening up of contemporary art to a wider audience. Investing in young curators and artists has been an exciting, rewarding and vital part of Fondazione Sandretto Re Rebaudengo’s programme, which we are seeking always to develop. To have this work acknowledged by Independent Curators International is a true privilege.” ABOUT PATRIZIA SANDRETTO RE REBAUDENGO Patrizia Sandretto Re Rebaudengo is a collector and philanthropist living in Turin, Italy. She has actively collected contemporary art since the early 1990s, and in 1995 turned her passion into an institution, by establishing the Fondazione Sandretto Re Rebaudengo. She is an international cultural leader serving on various international boards and councils and traveling extensively to participate in conferences, lectures, and panels. In addition to her affiliations with MoMA, the New Museum, and the Philadelphia Museum of Art, she is active on the International Council of London’s Tate Gallery, the Conseil d’Administration de l’Ecole Nationale Supériure des Beaux-Arts de Lyon, the Art Basel Cities Advisory Board, and the Advisory Committee of Shanghai’s Rockbund Art Museum. Sandretto Re Rebaudengo’s commitment to the arts and philanthropy has been recognized with such honors including, Riconoscimento di Ufficiale della Repubblica Italiana (2005), the title of Chevalier de l’ordre des Arts et des Lettres awarded by the French Republic (2009), the Montblanc Patronage Award (2003), the Marisa Bellisario Prize (2005), the title of Cultore dell’Architettura given by the Turin Architects’ Council and the title of Accademico d’Onore given by the Accademia Albertina di Belle Arti in Turin (2016) among several others. ABOUT THE FONDAZIONE SANDRETTO RE REBAUDENGO The Fondazione Sandretto Re Rebaudengo was founded in 1995 and set up its first gallery at the Palazzo Re Rebaudengo in Guarene in 1997. In 2002 the Foundation took its activity of developing and promoting contemporary art a step further, with the opening of a new exhibition venue in Turin, designed by Claudio Silvestrin, which is now an internationally acknowledged center for research, experimentation, and exchange between artists, critics, curators and collectors from all over the world. It contains a gallery of over 1,500 square meters, including a book shop, auditorium, workshop area, cafeteria and restaurant. The space is a flexible structure that can efficiently mount exhibitions that respond to today’s issues. A range of programs (films, talks, music, theatre and dance) are organized parallel to all the main exhibitions, whereby audiences can enjoy, interact and gain greater understanding of the center and of contemporary art. The Education Department of the Fondazione Sandretto Re Rebaudengo organizes and runs activities that are dedicated to schools, young people, adults, teachers, families and disabled people. The work of the Educational Department has been the subject of numerous studies and degree dissertations, and is considered for its excellence in contemporary art education. Its initiatives cater for 20,000 people every year.